Mission Control July July uplink]: Ranger Zero-Darling, come in. What do you see? Ranger Zero-Darling downlink]: It . . . static] . . . It's beautiful. July July: Ranger, please repeat. What is beautiful? 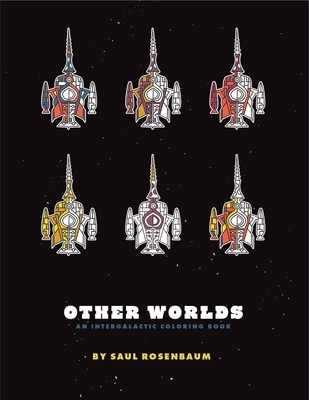 From artist Saul Rosenbaum comes an intergalactic voyage powered by your creativity. Strap in for a space odyssey the likes of which you have never seen. Explore a sliver of the galaxy as yet untouched by light and color. With intrepid imagination and a steady hand, assist Space Ranger Zero-Darling on a mission to illuminate the uncharted depths of space.